Memories are the architecture of our identity, but are they really a return ticket to moments past, or unwitting agents of deception? The ambiguity of personal experience is explored, and the concept of memory is held to question in the fascinating new group exhibition, ‘Flash Drive’, at aMBUSH Gallery. Through mediums that include photography, printmaking, painting, collage, drawing, sculpture and video work, nine emerging artists provide a way to map personal memory (as unreliable as it may be). The title, ‘Flash Drive’, references the vaporous nature of memory and perpetual sense of nostalgia in the contemporary information age. It’s a wry reference to the physical ‘memory storage’ in which our material information is stored, and the human, rational memories contained within our psyche. Luca Blasonato steps away from reality in his works, in an attempt to translate purely through the work’s physical properties. Using oil, acrylic, spray paint, pastels, house paint, photographs and found objects, he explores the feeling of displacement that comes with nostalgia. Madeline Castelli uses vintage found photographs in her screen-prints, lithographs and collages, often combining drawing and painting with her prints. The images she sources range from advertisements to discarded family photographs, and in collaging, tearing and re-contextualizing the photographs, she blurs the narrative, with the resulting ambiguity contributing to ideas of nostalgia and memory. 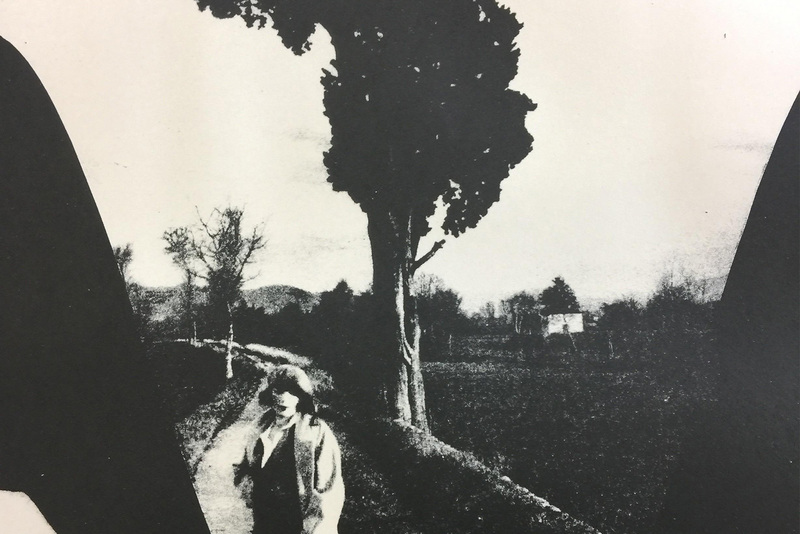 Phoebe Cutler uses a combination of photography and printmaking in her works, in conjunction with handmade paper, produced from materials found in areas that are significant to her. Her work explores notions of the personal, contemporary urban environment – a space where public and private meet. Henry Holder utilises collage, found materials, photographs and print media, in an attempt to make use of memory as a vessel to discover history and the theatre that surrounds it. His interests revolve around the absurd, and reflect how modern times express such themes. Lewis Ihnatko works across the mediums of drawing, painting and animation in both traditional and digital mediums. His art is an amalgamation of analytical sketches and painted works from life, family photographs and remembered experiences, and of an otherworld of hybrid creatures and dreamscapes, based in the digital realm. Hugo Rose’s mixed medium works aim to impart ideas of time and memory through images of interactions, connections and experiences of the everyday. His practice is based around a documentary-style of photography, integrated with traditional mediums of printmaking to create a contemporary form of a photo album that displays a series of personal memories, and explores notions of nostalgia. Mackenzie Rowe is a ceramic artist who depicts images of memory, dreams, fantasy, and the space between upon the vessels she creates. Her works often evoke moments – happy or melancholic, real or imagined – that are reminders of the fleeting, and the people, places and thoughts we hold on to. Sam Stephenson strives to document the lives and activities of his musician, artist and skateboarding friends in Sydney through his photography. He builds upon the idea of creating a ‘new’ nostalgia, turning to the newer friendships he has made over the past four years, and the recurring theme of a subculture of younger skateboarders. Clare Wigney is a painter whose works focus on the Internet, and how it has changed human connection, behaviour, interaction and psyche. Her paintings depict pixelated, low-resolution images and drawings that aim to describe the confusion of the new age world. Her art reflects upon the role of the digital realm in forming a sense of identity – how we value people, family, memories, and ourselves. Flash Drive is produced and presented by aMBUSH Gallery. The opening night event is on Thursday 11 April from 6-9pm at aMBUSH Gallery and will include complimentary drinks from Sapporo Beer. It will then be open daily and free of charge to the public from Friday 12 April to Sunday 14 April, from 12-4pm. Luca Blasonato, Madeline Castelli, Phoebe Cutler, Henry Holder, Lewis Ihnatko, Hugo Rose, Mackenzie Rowe, Sam Stephenson and Clare Wigney.